Since hitting its February low, the S&P 500 has rallied 15 percent and come within 2 percent of its all-time highs. But according to one market watcher, the top could be in for the year, if history is any guide. 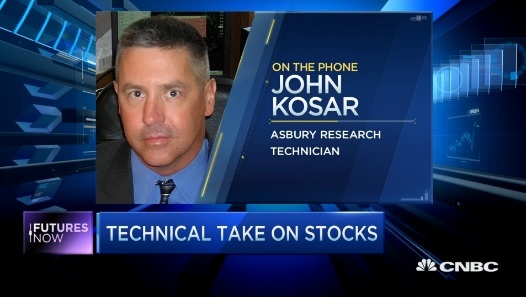 Technical analyst John Kosar said that from a seasonal standpoint, Friday marks the end of peak week for stocks in the second quarter. “Since 1957 we have April being the strongest month of the year for the S&P 500, and on average it has closed 1.5 percent higher on the month since that time,” Kosar said Thursday on CNBC’s “Futures Now.” The S&P 500 is currently up 1.6 percent this month. “That tells me that we’ve already gone, seasonally, as high as we should,” he said. Click the linked title above or the graphic below for the rest of the article and the accompanying video.